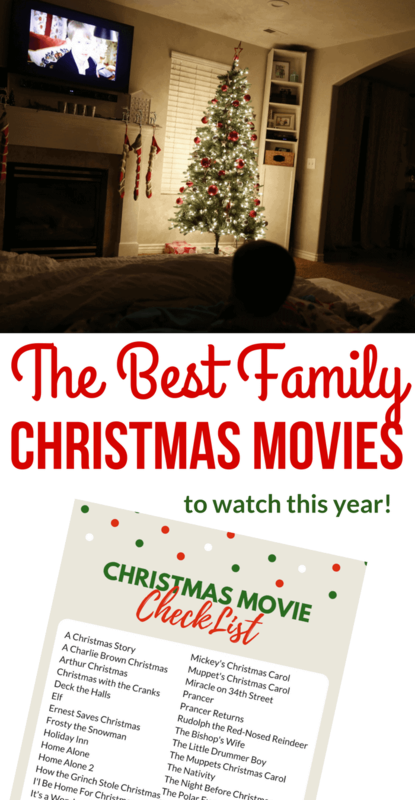 The Complete Family Christmas Movie List - So Festive! *This post may contain affiliate links. Read my full disclosure statement here. Slow down this Christmas season and plan a few nights in to relax, snuggle up, and watch a Christmas movie! Which ones, you ask? Well, there are so many to choose from! We rarely get through all of the Christmas movies on our list, but we try! 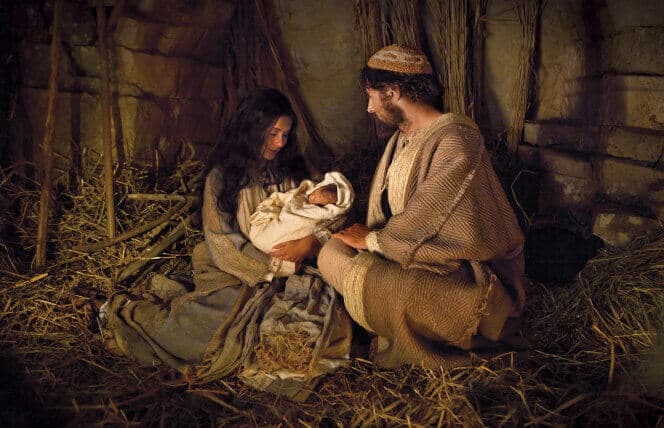 Here is a list of some of The Best Family Christmas Movies– classics, cartoons, and new ones alike! Don’t forget to grab the printable checklist at the end of the post with the entire list! 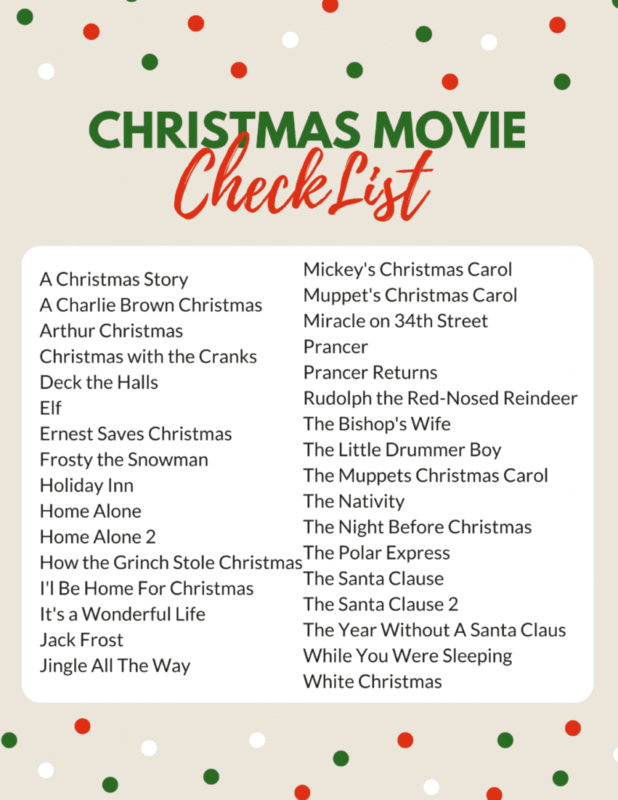 And if you love checklists like we do, here’s a printable Family Christmas Movie Checklist just for you! There are a lot of great Christmas movies on this list, far too many to get through one season. So just pick a few favorites and save the rest for next year! Are we missing any of your favorites on this list? Leave a comment below! Thanks! I haven’t seem this.